Prime Minister reportedly pushing off new elections out of fear President Rivlin will give rival candidate chance to form government. Prime Minister Binyamin Netanyahu won’t back early elections, a report by Israel Hayom Wednesday claims, due to concerns that President Reuven Rivlin will invite rival candidates to form a governing coalition – even if Netanyahu’s Likud party wins the most seats. Recent polls show the Likud leading by double digits over its nearest rival – former Finance Minister Yair Lapid’s Yesh Atid party. With his own faction’s polling numbers peaking, and an ongoing deadlock within his coalition between haredi lawmakers and the Yisrael Beytenu party over a new haredi draft law, early elections could appear to be a natural choice for Prime Minister Netanyahu, potentially strengthening his hand with a new government and enlarged Likud. But according to report by Israel Hayom, senior Likud officials – including Netanyahu himself – have decided to hold off on early elections, fearing that President Reuven Rivlin could invite a rival candidate, like Yair Lapid, to attempt to form a viable coalition first. Under Israeli law, the president chooses the party chief he or she believes will be best able to form a viable governing coalition. Typically, this task is given to the leader of the party with the most seats after the new election, though in a close race with two parties winning nearly the same number of mandates, the president may choose to back the candidate with fewer seats – particularly if a majority of MKs back that candidate. Such was the case in 2009, when the Likud won 27 seats – 1 less than Kadima’s 28. With 65 of the Knesset’s 120 MKs endorsing him for Prime Minister, however, Netanyahu was chosen over Kadima’s Tzipi Livni to form a government. 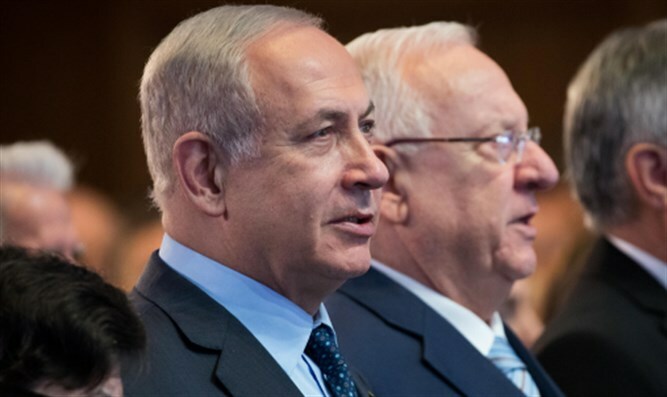 Senior Likud officials reportedly fear, however, that President Rivlin could deny Netanyahu the first chance to form a coalition – even if the Likud wins by a wide margin. According to the report, Netanyahu and other ranking Likud members fear that Rivlin may deny Netanyahu the first chance to form a coalition due to concerns he may be indicted next year in the Case 1000 and Case 2000 investigations. In February, police announced that they had recommended prosecutors indict the Prime Minister in both cases, which center around accusations of bribery and breach of trust over alleged deals between the premier and a newspaper publisher and Hollywood filmmaker. Rivlin, a long-time rival of Netanyahu, could use the cases and the lingering possibility of an indictment as a pretext for denying Netanyahu a fifth term in office. In such a situation, the president could either offer a candidate from another party the chance to build a coalition – if the election is close – or even turn to a different Likud member to form a coalition if the election is a landslide. If early elections are not called, the next vote must take place by November, 2019. A senior official said Netanyahu is investigating the possibility of new legislation which would limit the president’s discretionary powers in offering the chance to form a government. The report claims that coalition chairman MK David Amsalem (Likud) is expected to propose such legislation in the next few days. President Reuven Rivlin’s office pushed back against the Israel Hayom report, calling fears in the Likud that the president could deny Netanyahu the premiership “paranoia”.